The eclectic programming includes one artist transforming into an alien before our eyes and J-Sette performances on the streets. This Thursday, October 11, will kick off the Los Angeles Exchange (LAX) Festival, a 10-day affair during which contemporary Los Angeles artists perform throughout the city’s downtown neighborhood. Last year, the five-year-old festival began the tradition of collaborating with artists in another city (Mexico City); this year, they chose Philadelphia. The programming promises to be eclectic. At Automata, the Southern California artist Susan Simpson will be presenting a work of “live cinema” titled A Machine for Living, in which her body will transform before our eyes into a “highly advanced alien other.” In another live performance that has generally been seen only on screen, the celebrated artist Edgar Arceneaux will stage Until, Until, Until … at the Bootleg Theater. 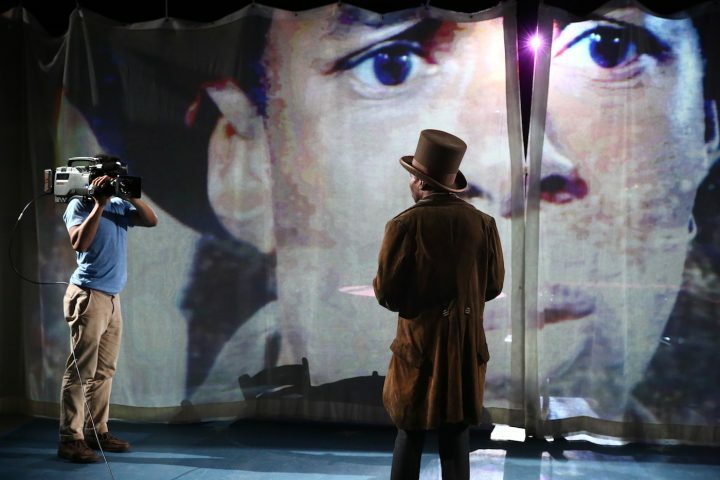 In the piece, he looks back on Ben Vereen’s 1981 performance for Ronald Reagan’s inaugural celebration — during which the Broadway performer paid homage to the Black entertainer Bert Williams and offered critiques on racism in the US — which didn’t air on television that day. Arceneaux revisits this unseen footage and re-stages the presidential inauguration. Not all of the performances at LAX are at indoor venues. Jermone “Donte” Beacham and jumatatu m. poe’s piece Intervention sounds particularly intriguing. The piece “activates multiple historically Black neighborhoods in Los Angeles” by drawing on the “call-and-response structure” of J-Sette moves. The locations of their performances won’t be announced until hours before they take place — part of the point is to see how the surrounding neighborhoods react naturally and intuitively. More info at Los Angeles Performance Practice.